Happy Flash Friday everyone! Before we get started,, I want to talk about the status of Flash Friday. 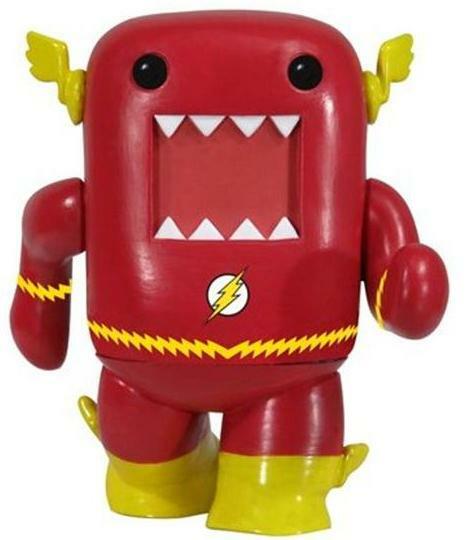 There hasn’t been a whole lot to talk about in the world of Flash and Flash merchandise. Because of this, I wouldn’t expect a Flash Friday every Friday. This way I don’t feel bad about writing about other subjects on Friday when there isn’t anything Flash related that needs to be discussed. Today’s update comes from Funko. We’ve been talking about them a lot lately since their pop culture figures are everywhere right now. 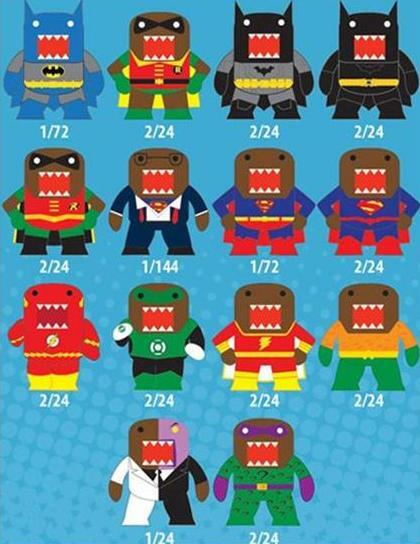 This time they’ve decided to take the little Japanese monster Domo and dress him up as different DC super heroes. 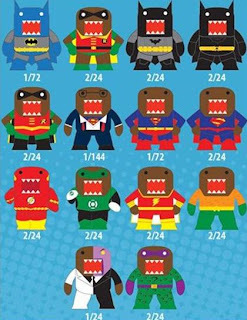 The full sized Domo figures will be available wearing Batman in blue and grey, Batman in black and grey, Superman, Green Lantern, and the Flash. It looks like he has articulation at the arms and waste, but I can’t be certain if those are just mold lines or not. The full sized figures sell for around 11 dollars. There will also be a box of blind packed mini-figures. The mini-domos are 2.5” tall. In that set there are 3 different types of Batman, 2 types of Robin, 3 types of Superman (including Clark Kent), Flash, Green Lantern, Shazam, Aquaman, Two-Face, and the Riddler. There are blind packed, but it looks like the Clark Kent and the Blue and Grey Batman are the only rare figures. Still if all you want is the Flash, you’re better off ordering the large one and saving yourself some money. Oh my gosh, I need that. And Riddler too.